This entry was posted in Grief, Mental Illness, Thoughts from the serious side. 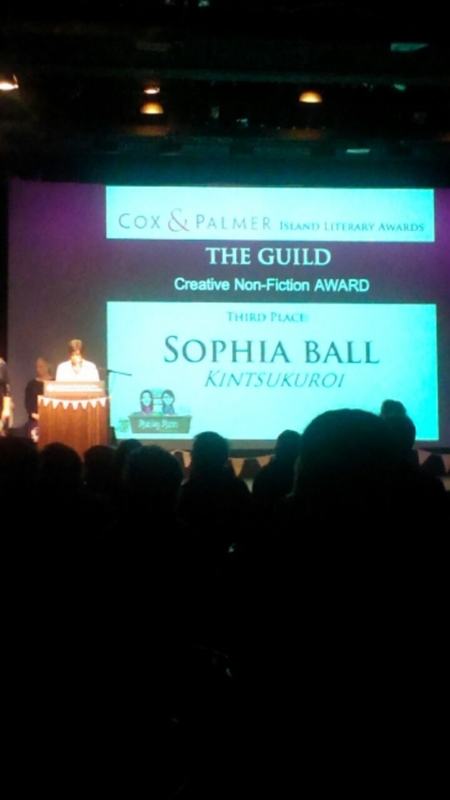 and tagged award, healing, illness, mental illness, strength, writing award by Sophia Ball. Bookmark the permalink. I’ve always enjoyed reading your writing whether it was humorous or very serious, both of which you do so well. 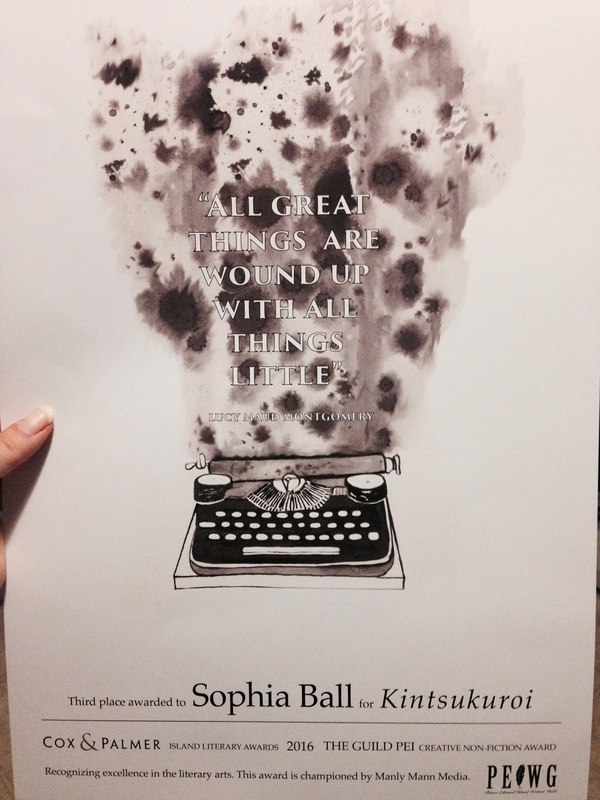 So cool that you got honored for it and that they found your writing as amazing as I do. And and even more amazing person! Congrats! No need to blush. You don’t need my approval, you have the trophy for all the approval! Yay! Congratulations! You’re a talented writer. Congratulations, Sophia! You deserve it. Well dear, that makes me all proud all over again!! Rock on, not only for the award but being on the path to thriving! Also for writing it. People also say, “No way! But you’re too well adjusted!” when I talk about my childhood. It makes me glad to be writing it, so that others suffering understand it’s really not that anomalous … that there is hope for them, even if they don’t (yet) feel extraordinary enough to be one of the survivors. Thank you – I think I feel the exact same way about writing on my darker experiences! you know this but i’ll say it any-weigh: it shows your versatility — the dark, the lite, and every-thing N beee tween. key pattitt ~ !